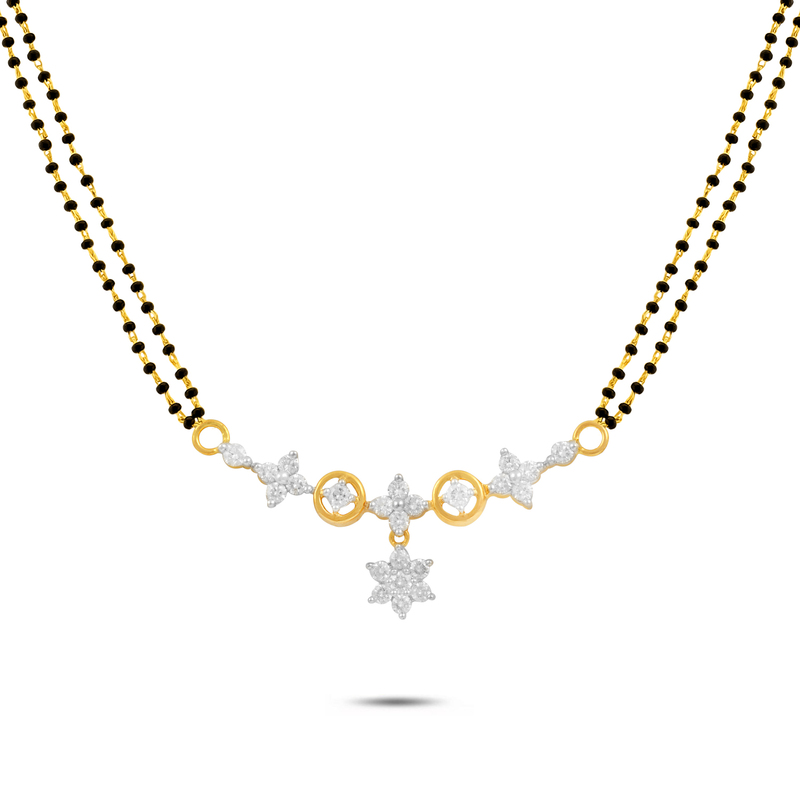 Rthymic Diamond Mangalsutra Pendant is a masterpiece creation showcasing delicate pendant with floral design. The pendant is encrusted with 23 gleaming diamonds made in 18k and gives a stunning look. Both traditional and stylish, this is the perfect accessory as an everyday wear.